Children have heightened vulnerability to a variety of exposures as a consequence of their developmental, behavioural and physiological characteristics. They receive greater exposures per unit of body weight than adults because – for their size – they eat more food, drink more liquids and breathe more air than adults. 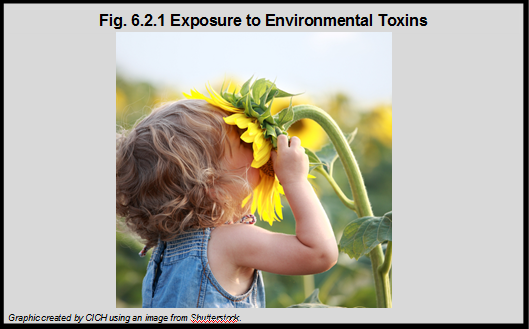 Because of young children’s physical development, their bodies are less able to manage environmental toxins. Exposures at this critical period of development can result in irreversible damage to the growing nervous system, affect emerging behaviour patterns, cause immune dysfunction and have serious reproductive effects. 1Canadian Institute of Child Health. 2000. The Health of Canada’s Children: A CICH Profile. p.252.